InstaPot can also be called as a pressure cooker that is used for Instant and flexible cooking. The pressure cooker is not only a cost-effective utensil but also a time-saving device. It has the capacity to replace almost 8-10 appliances by performing several tasks. Were you afraid of using a pressure cooker up till now? Well, this magnificent product will completely change the way you were cooking. You might just start enjoying cooking more than anything else. After using this product for some time, I realized that I felt pretty confident while cooking and it is also extremely safe when compared to normal pressure cookers. 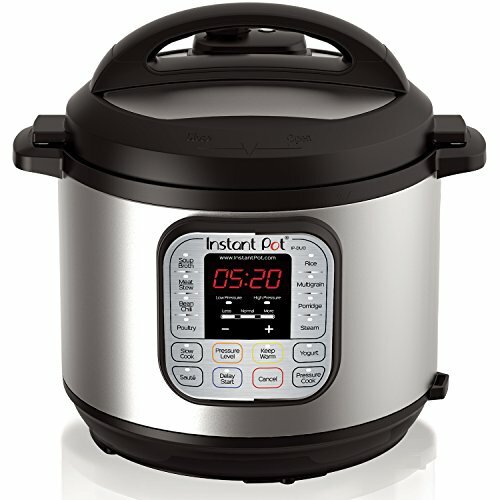 InstaPot has 5 models that i.e. LUX, DUO, DUO PLUS, ULTRA & SMART. All these are smart pressure cookers that also work as slow cookers. 1. Pressure-cooking: LUX can only work at high temperature while other models can respond to both high and low temperatures. 2. Bluetooth: Only SMART InstaPot has the feature of Bluetooth while others do not work on it. 3. Size: DUO PLUS, ULTRA & SMART are available only in 6 qt. while LUX is available in 6 & 8 qt. Only DUO model is available in three sizes i.e. 5,6, &8. 4. Built-in programs: All the models have an exclusive array of built-in programs. The minimum no. Of programs are available in LUX model i.e. 10 while the maximum inbuilt programs are present in ULTRA model i.e. 16. DUO, SMART & DUO PLUS have 13, 14 and 15 inbuilt programs. 5. Custom programming: The inbuilt programs can also be customized as per user convenience. The feature is available only in DUO PLUS, ULTRA, and SMART. 6. Cooking Progress Indicator: This feature is only available in ULTRA model while its missing in all 4 models. 7. Altitude adjustment: The feature of altitude adjustment is only present in ULTRA model. 8. Yogurt marker: Except LUX model, all others are capable of preparing yogurt. 9. Sterilizer: Only DUO PLUS & ULTRA can act as a sterilizer while other models are not capable of sterilization. 10. Egg cooker: Only DUO PLUS & ULTRA are capable of boiling an egg. 11. Cake maker: Only DUO PLUS & ULTRA are capable of preparing a cake. Before buying any kitchen appliances, I assess many parameters personally such as convenience, budget, and safety. These three things are very important as each play its own role. The utensil must be easy to handle and simple to understand so that it can be used with convenience on an everyday basis. It should definitely suit our pocket. Most important, a utensil must be safe to work with. To my surprise, InstaPot serves all these purposes and therefore I bought the gadget instantly. Time is a key factor especially when it comes to working women; therefore I wanted a device that could also save up my time. Also, pressure cooker, if not handled properly, can cause serious damage and injury to both people and property as it works on steam. I have always avoided using the pressure cooker, as I always remain conscious of the water level and other factors such as no. of whistle etc. After buying InstaPot, I feel I’m much relaxed while working in my kitchen. I feel much comfortable using it now and try to utilize it for every possible meal. I love preparing desserts and therefore I use this for steaming, browning and cake making. InstaPot is available in 3 sizes and the user can choose the size as per their requirement. In case you are looking for a serving of one or two people then choose a 5 qt. size. If the family members are between 3-4 then you may go for 6 qt. size cooker. The last size is 8 qt. which apt for a family of 4-8 members. The Delay starter time is 24 hrs. The pot is made of 3 Ply stainless steel. It guarantees the safety of the user and makes it durable. InstaPot has 14 inbuilt functions that make it easy for beginners. For instance, there are inbuilt functions for preparing soup, porridge, rice, yoghurt and meat/stew. There is an automatic setting for keeping the meals warm and have dual pressure. The utensil is energy efficient that helps in saving electricity. The Pressure cooker is certified by UL and ULC. The cooker is kitchen friendly and has inbuilt safety protocols. Altitude control: To avoid any guesswork, the altitude can be adjusted for a precise cooking time. Controls: There are separate controls for the preparation of cake, egg and Sterilization process. Indicator: There is an indicator that states the cooking state of the meal i.e. Warm, preheat and cook. The steam release button: It allows the manual release of continuous and pulse steam. Though all the models of InstaPot are unique in their own way, it depends on what a user is looking for. An InstaPot with many inbuilt features and programs can be a little complicated while the one with few but attractive features will be easy to handle. You may decide as per your requirement as well as convenience. Another factor that you may consider is how much investment you are willing to make. If you are looking for a smart investment then you can choose LUX model but in case you want a Pressure cooker with every feature then SMART or Ultra. These models are extravagant with all unique features and programs. I would suggest users go for my personal favorite DUO Plus. The pressure cooker was released in 2017 and has some great multifunctional features such as cake marker, sterilizer and egg boiler. DUO Plus is an advanced version of InstaPot DUO, which has always been the #1 selling product. –LUX model: In case you are looking for a pressure cooker with simple features then buy LUX model. LUX model misses out on features such as yogurt maker, cake maker, and sterilizer. –SMART model: For users who love technology and are looking for unlimited cooking options can choose InstaPot SMART model. -Ultra model: In case you reside in high altitude then try opting for InstaPot Ultra model as it has an altitude control button that will serve you a great meal. Which is the most appropriate size for me? There are two to three sizes available that a user can choose from depending upon their day-to-day requirements. If your family is small and meal quantity is for 2-3 people then you can think of purchasing 6qt. size. You can use 3/4th of the space in a 6 qt. size cooker. There is also a 5 qt. size, which I usually do not recommend anybody. It is better to get a bigger size than buying a small size pressure cooker. If the pressure cooker is bigger in size you can always prepare small sized meal such is not the case vice-versa. Bigger meals cannot be cooked in a small size cooker, which will make you regret it for buying in the first place. There is an 8 qt. size cooker too for cooking large sized meals. This can be purchased if your family has many members. Thus, out of the three sizes, I would personally recommend users to buy 6 qt. size cookers. It is also one of the best selling InstaPot on Amazon. From a homemaker to a working professional and from a bachelor to a family, everybody is looking for smart kitchen solutions. There arises the need for gadgets & appliances that not only suit our pockets but also save up our time. Well, InstaPot can be the one you were looking for. With such interesting features and smart programs, there shall not be a single person who wouldn’t buy this kitchen appliance. Unlimited and unique settings make this gadget worth every penny. The best part of using InstaPot is that it is an extremely convenient product. It is almost a life-saving product for everyone at every meal is just one touch away. Whether its preparation of rice or pulse, you just need to push one button. The inbuilt programs have all the essential information that the appliance need for cooking a meal. Thus, you can just put the ingredients in the pot and press the relevant button. There is also a digital display that would keep you informed about the time left for the meal. This is a highly advanced feature in a pressure cooker and can be a great appliance for bachelors and working class. Since the models of InstaPot have several functions, a user can read the manual for a better clarity. While designing the appliance, all the potential and major threats were addressed and sorted. The manufacturers take into consideration all the factors that can risk life and property. InstaPot has an inbuilt safety lock which prevents the lid from opening during steam. This will keep the user safe from any burst. For additional safety, there is also a pressure regulator in the appliance. It tries to keep the pressure within the safety zone, which is 15.23 psi. In case there is any steam leakage or an open steam release, InstaPot checks it with its smart feature i.e. leaky lid smart detection. There is also a magnetic sensor that indicates the position of the lid. In case the pressure cooker is unattended for some reason, then excess pressure protection technology ensures no mishappening occur. This technology sends the excess pressure inside the inner chamber. In case, the limit set for pressure and current exceeds, there is an automatic cutoff that prevents any blast from taking place. 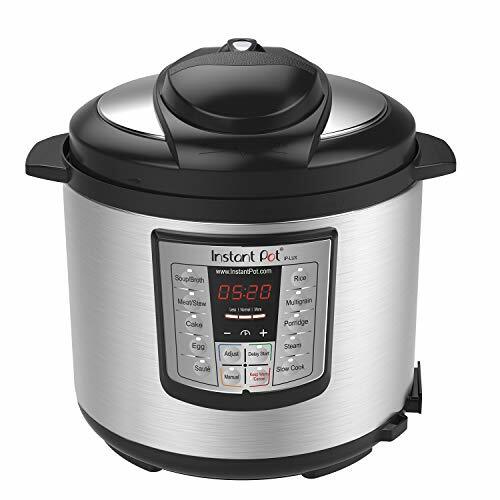 InstaPot is popular among many users and is also one of the best selling pressure cooker. The reason being, this utensil has the capability to cook a meal which not only delicious but nutritious. 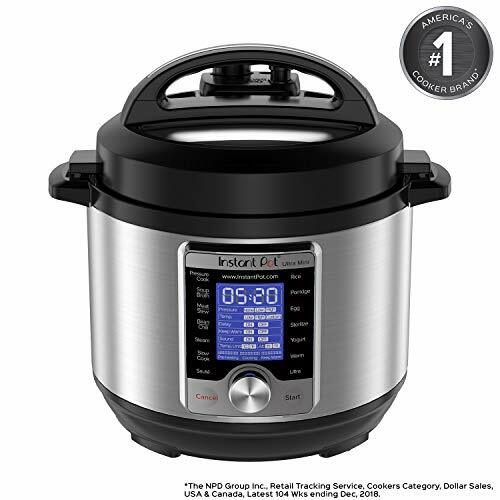 When we compare a normal pressure cooker to InstaPot, there is a huge difference in nutrition retention. InstaPot is able to retain the essential vitamins and minerals of vegetables with its latest microprocessor technology. InstaPot has controlled cooking cycles and a sealed environment for preparing a meal, which keeps the food in its original taste. Our kitchen appliances should be environment-friendly and it should be the manufacturers who should take care of it. The manufacturers must make products that consume less energy. InstaPot as smart kitchen gadget consumes very less energy as compared to other kitchen utensils such as induction, oven, and steamer. The time for meal preparation in InstaPot is lesser than other pressure cookers, which is the main reason for less energy consumption. There is also a provision of temperature adjustment. It heats the inner pot up to a fixed temperature only. The water required to cook a meal is less in InstaPot as it processes the cooking faster than any other cooker. This leads to less time for steam building hence a lot of energy is saved up. Thus, InstaPot is an environment-friendly cooker. We often forget to read the instructions carefully given in the user manual and end up missing out on some information or the other. Though, people who cook daily are generally aware of all small and big things that should be taken care of while cooking. But still, it is better to take precautions beforehand that regretting a mistake later. It might sound silly but simple things can turn into huge mistakes. A lot of people fill the main pot with all the recipe ingredients but forget about the inner pot, which is one of the essential parts. The basic of cooking inside a pressure cooker is using the steam pressure to cook raw material into edible food. This is only possible if the lid is completely sealed with a rubber ring. Make sure the air inside the cooker is completely locked before the meal is set up for cooking. If this were not the case then the steam would escape out and the dinner would not be cooked properly. 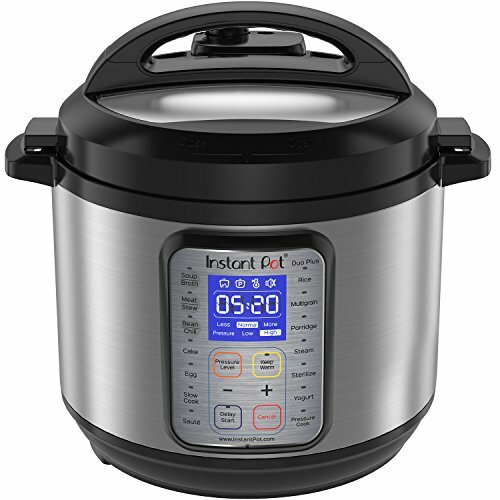 InstaPot is a multi-function pressure cooker that can work better than an oven or a stove. As discussed, it has the capability to replace many utensils in our kitchen with its wide array of features. One important thing that one must understand while cooking is the pressure build up. Let the pressure build on its own and taking sufficient time to get the best results. Don’t rush while preparing a meal and keep the preparation time and cooking time separate. Allow a few extra minutes for the initial process so that there is proper steam inside before the actual cooking starts. Before we decide a meal, we take care of ingredients. Some of these ingredients tend to expand in presence of steam such as rice. Thus, InstaPot provides a line or a mark that states the maximum limit for ingredient intake. The user must watch the line. Try keeping the ingredients below the line, which is the best way to cook. Otherwise, limit it to the given line and cook slowly for a good meal. A pot that is filled half will get the adequate space it needs for a proper cooking. The user should be attentive while cooking. In case you are using smart kitchen utensils you can let the device do the work for you but still, there are few things, which need manual attention. The best way is to be active and keep a track of time and process. Once the meal is cooked, be active in opening the valve of the cooker. If you do not release the leftover steam, your dish will turn from cooked to overcooked or precisely soggy. Thus, release the steam quickly for a better tasting food. The InstaPot has a feature of the timer but it can be the most confusing of all the features. Usually, a user sets the timer button and expects the pot to start working immediately but that’s not how it works. If you set the timer it will take longer than usual. Use timer after selecting an inbuilt program so that the process will start once the time set has passed. The pressure cooker works on steam thus only your experience can help you with the right water quantity. In case there is less water in the pot then the steam required to cook the meal will be less and shall result in an uncooked meal. There can also be a case when there is more water. Under such circumstances, it will not only take much more time to cook but will probably overcook the meal or simply ruin it. Thus, it is better to add water cup by cup and put more water only when required further. Perfect water quantity would come only with experience. Due to lack of information or habit, people often make mistake and put InstaPot directly on top of a stovetop. It can prove to be extremely dangerous. It is always best to read the user manual for safety instructions and pays attention especially when we are using utensils like the pressure cooker. In case you have to put the InstaPot on the stovetop then place a wooden board in between them to protect yourself from any mishappenings. Hope this article would help the users to find their perfect pressure cooker. Please share the choice you made in the comments below. I would be more than happy to read more InstaPot reviews written by other users too. A complete review of InstaPot. Read the article to find out how this pressure cooker has proved to be one of the best utensils in my kitchen.